Powercycle. Metered output generates AC or DC current supporting multiple activities. Rising Under Pressure. 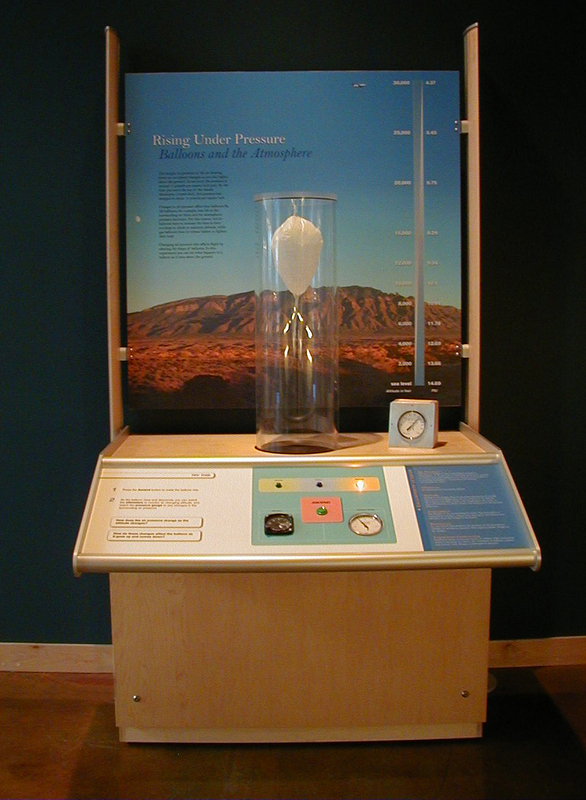 Visitors explore the relationship between altitude, air pressure and the behavior of gas balloon envelopes by making the hydraulic cylinder rise out of the cabinet on a simulated flight to 10,000’. Clues in the Canyon. 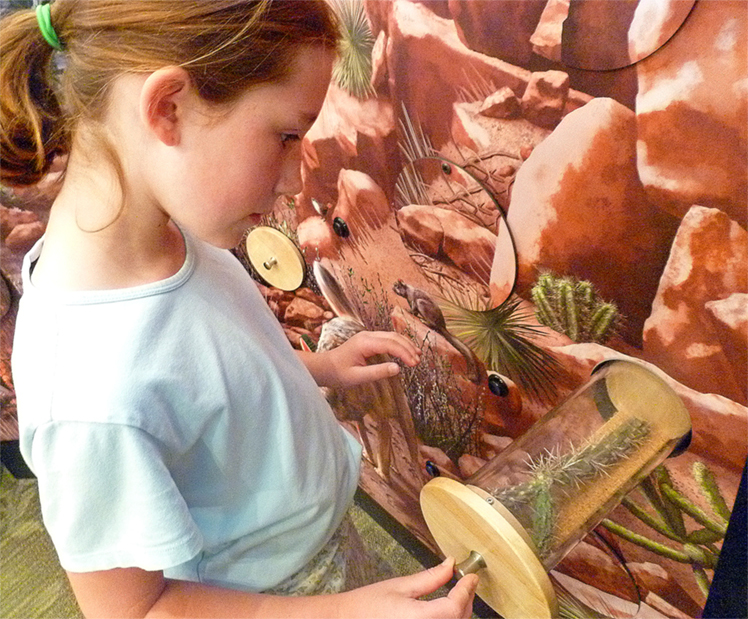 Children discover hidden sounds, specimens and creatures. Illustration by Lund Arts. Raptor Round the Clock. 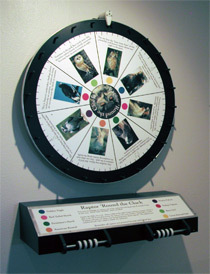 Spinning wheel game challenges visitors’ knowledge of winged hunters. Flora & Fauna Display. 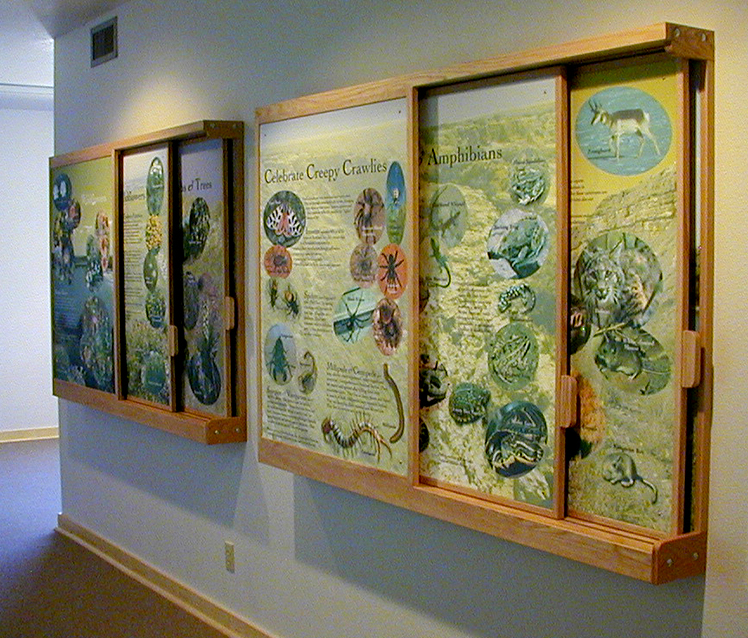 Sliding, browsable panels offer a low tech solution for changeable exhibits. Balloon Launch. 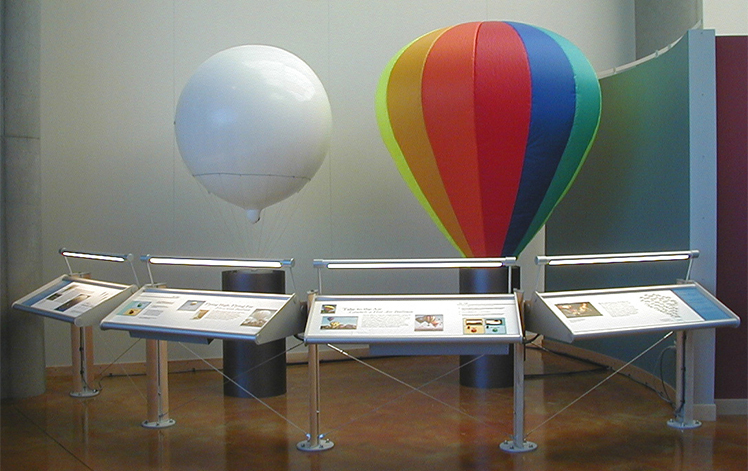 Visitors launch gas balloon (left) and the 7’ hot air envelope (right) to measure lift and compare lifting gases experiment with the physics of heated air. 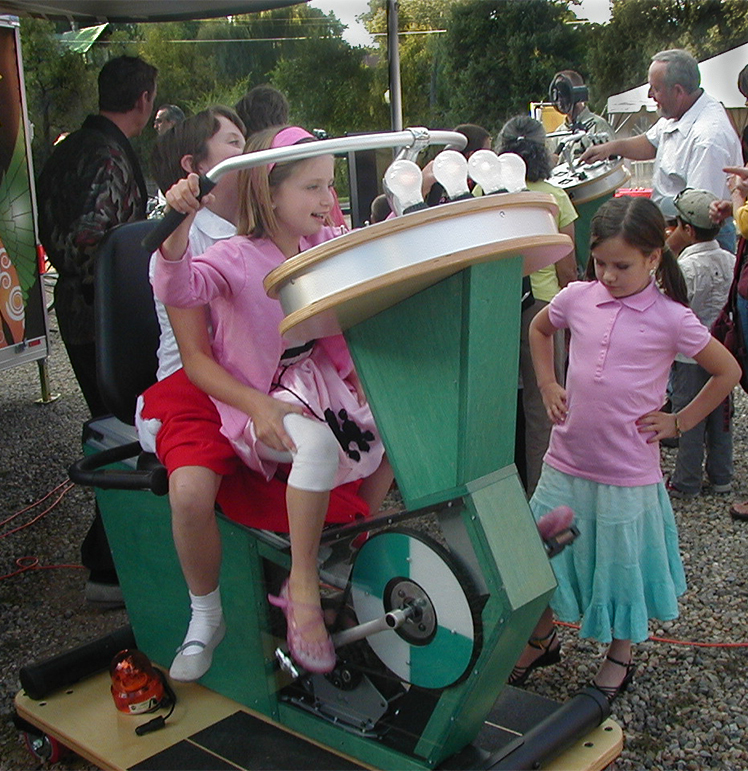 Corlis Steam Engine Interactive. Students assemble parts of a reciprocating steam engine and hand crank the piston to learn how early steam plants generated electricity. 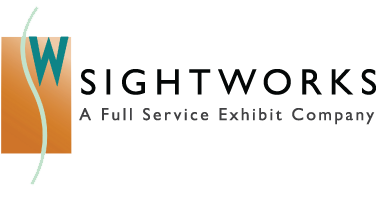 Power House exhibit incorporating historic gauges and equipment with contemporary interactive elements. 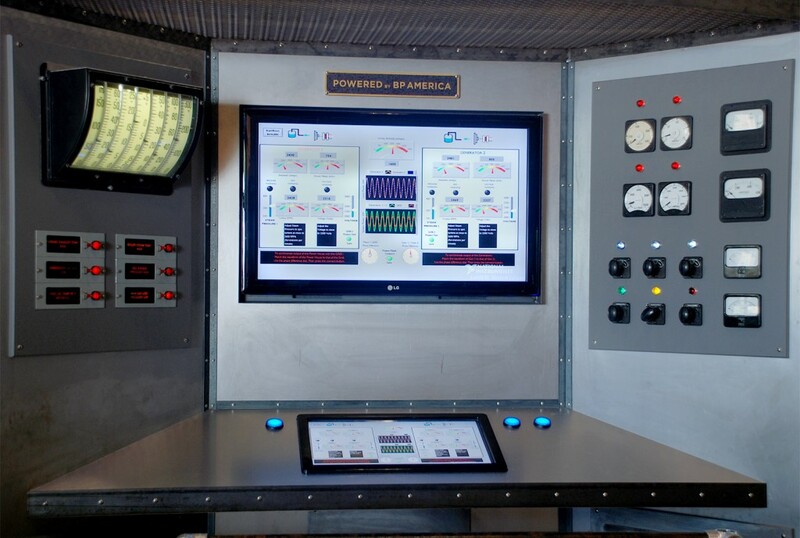 “Drill Down Station” touchscreen allows visitors to watch videos, browse historic photographs and documents and link to websites. 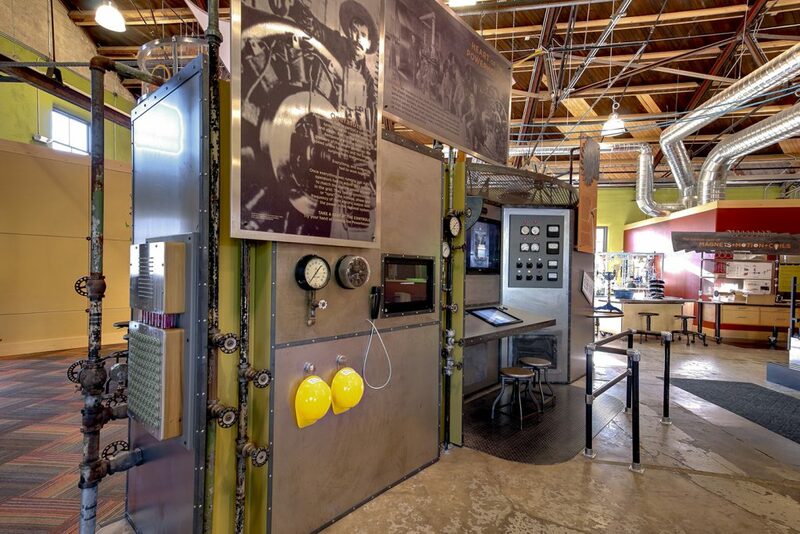 Powerhouse interactive video game challenges visitors to control electric generators and try their hand at operating a power station linked to the grid.